Damned combines two books that I love: American Gods and Fight Club. One book shows how quickly we move from one deity to the next; the other book shows our dependency on social validation. Palahniuk’s sardonic review of society is the perfect blend of both. It is difficult to read any of Palahniuk’s writing and not make comparisons to Fight Club—Fight Club is that good of a book. And there are plenty of near-identical likenesses found here in Damned. 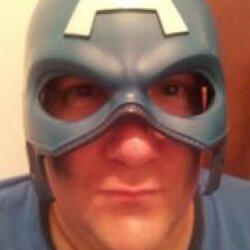 Instead of “I am Joe’s Liver” we have “I am the anti-Jane Eyre”. And while we witnessed the slow unraveling of Fight Club’s protagonist, the sudden rebellious action of Madison in Damned was also fun to behold. Though entertaining, I don’t fully understand what caused that sudden change in the protagonist’s mindset. There was neither a proper build-up of tension nor a sudden infliction that could fully explain what happened. Yes, there was one moment of prior triumph and there was an after-action satanic explanation, but the sudden change still wasn’t fully believable. Howbeit, it was quite the ride. 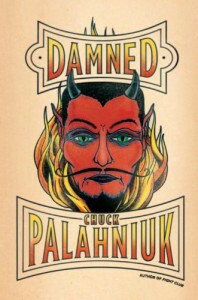 The thing I truly enjoyed about Damned is Palahniuk’s description of hell. It was lovely and sick. If that doesn’t make sense, then you should do yourself a favor and read this excellent book. The things we cast aside on earth are the landscapes of hell.